"Workers could not keep up with the documentation and cases. We had times where we were missing pieces of paper or whole records would disappear." 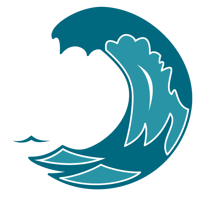 The programs and agencies that will be able to provide the best services when the next wave breaks will be the ones that equipped their social workers with the right tools to do the maximum amount of work before the tsunami hit. Workers have always needed to be able to manage client and case information while they’re in the office, but what’s more important now is providing them access to case files while they’re in the field when and where they are actually interacting with clients. A mobile document management solution is one way to ensure that workers are never without the files and information they need. You leave the agency to visit an elderly client needing in-home services. During the meeting, the client asks to see a list of services you could refer them to, and you realize you don’t have it with you. Additionally, you want to know what they have or have not already participated in, as well as which ones are helpful or not. Now what? You could drive back to the agency to find the necessary documents, forms, and lists you need, call the client to arrange a new day and time to meet, and then start the process over again—creating extra work for yourself and delaying the client from getting the help they need and in the process losing the faith and confidence of the person you are there to assist. Or, with a mobile solution that allows instant access to forms while you’re in the field, you’d have everything you need, all the time, right at your fingertips. That means you can refer the client to a service while you’re at his home, and get him access to said service that much faster and in the process of gaining trust and appreciation of the person you are there to help. Plus, you won’t have to worry about filling out more paperwork (or forgetting to do it!) when you get back to the office. You’re struggling to build a relationship with a client because you’re focused more on all the effort it takes to document the conversation than actively engaging in it. How do you balance the two? You can’t be fully engaged in a conversation if you’re constantly shuffling paperwork, jotting down notes, and unable to maintain good eye contact. 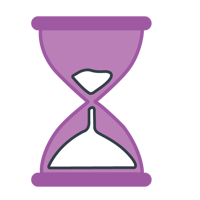 If you appear distracted, or have to ask the client to repeat something because you missed it the first time they said it, you risk losing their trust and missing out on valuable case information. With a mobile solution, however, you don’t have to worry about missing anything. You can record and transcribe interviews, type notes as you talk, and even show the client what you’re taking notes on—improving collaboration and building trust in the process. Plus, by having the ability to pre-fill forms and auto-populate demographic information, all that is left for you to do is get signatures. It's an easy click to get documents imported into the system. All of this happens while you are in the field. And when you aren’t getting bogged down by paperwork, you can focus your time and attention on creating more quality time with clients. Aging and Adult Services programs will always face their fair share of challenges, and those challenges are only going to get more complex when the tsunami hits. But, give social workers the right tools at the right time to do their best work, and your agency can ride out the waves. 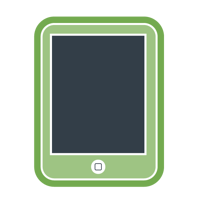 To learn more about how mobile technology can help your Adult Services program, watch our On Demand Webinar, 5 Hurdles in Aging & Adult Services and How to Overcome Them. Aging and adult services workers have always needed to be able to manage client and case information while they’re in the office, but what’s more important as caseloads grow in size and complexity is providing them access to files while they’re in the field. A mobile document management solution is one way to ensure that workers are never without the information they need.